Bof , c'est bon pour ceux qui n'ont vraiment pas besoin de beaucoup d'espace , pour avouère vécu dans une T@B 10 ans , merci je la laisse à un autre ! C'est comme on peut dire très petit mais somme tout bien conçu ! If you are in the market for one of the highest quality off road tear drop trailers available then you need to take a look at the trailers made by Oregon Trail'R. 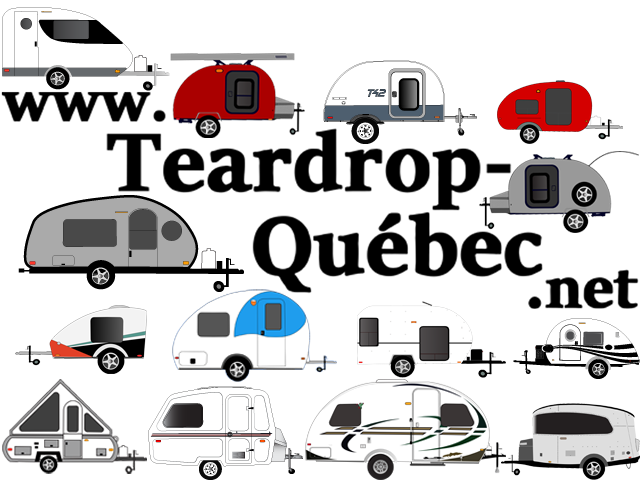 Btw their tear drop trailers actually look like "tear drop" trailers of the past and not a square box on wheels. To some that is important. If you go off road over rocks and ruts then you know how bad trailers get beat up. A cheap trailer will fall apart after a couple trips in the back country. For example I rented a U-Haul trailer to move furniture in the city and it handled like crap on regular paved roads due to the cheap torsion bar axles and craptastic tires....so you can imagine how bad that level of low quality handles off road. The trailers by Oregon TrailR are built to the highest quality with waterproof UV film treated woods, high quality TIMBREN suspensions, stainless steel chassis parts so it doesn't rust when scrapped and old world craftsmanship in a small shop in Eugene Oregon. They build their trailers to be heirlooms that can be handed down to your grandkids. Can you build a cheaper trailer yourself? Sure you can...but Oregon TrailR has perfected their craft and that is what you pay for. Watch their videos to see behind the scene footage of their operation.